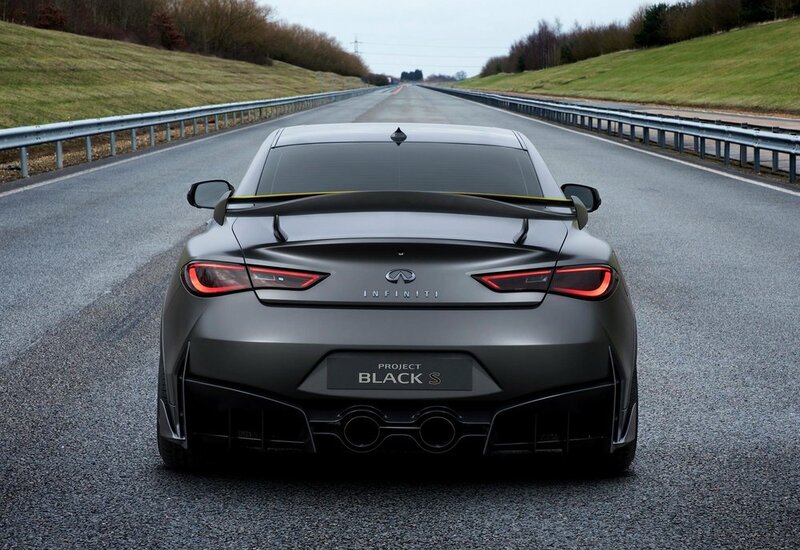 The Project Black S is a collaboration between Infiniti and Renault Sport’s Formula One Team to develop an F1-inspired performance hybrid powertrain and carbon fibre bodywork. As part of the Renault-Nissan Alliance, the one-off features ‘unique-for-the-road’ technology inspired by Formula One says Infiniti. The reinterpretation of the Q60 coupe features a stand-out, aerodynamically-optimised new design. It also hints at how the hybrid powertrain could ‘significantly enhance’ the performance and dynamics of an Infiniti production car. An F1 style energy recovery system (ERS) harvests energy, deploying recovered electric power to boost power and torque. The result is instant, lag-free acceleration. Inspired by the dual-hybrid system proven in F1, the technology does not yet exist in a current road car with Infiniti saying the energy recovery system could contribute to a 25 percent increase in power for brand’s new 3.0-litre V6 twin-turbo engine. Infiniti has also called upon the Renault's level of F1 expertise in advanced composite materials to create the carbon fibre bodywork elements of the Project Black S. A large front splitter, rear diffuser and side skirts are all constructed out of carbon fibre to minimise weight and enhance downforce, while ultra-thin aero 'blades' in the side sills ahead of the rear wheels channel air around the lower body of the car. A large fixed rear wing – also made of carbon fibre - increases downforce at speed. Enlarged air intakes at the front of the car are more effective at channeling cooling air into the engine bay and brakes, and new bonnet vents help evacuate heat. At the rear, the body is shaped to allow circulating air to escape as quickly and efficiently as possible, aided by vertical aero foils. The concept set to be revealed in Geneva features a range of further modifications including a new high-performance titanium twin exhaust system, maximising the efficiency of air flow through the powertrain. The Project Black S also runs on lightweight 21-inch wheels and wider performance tyres for greater traction, highlighted by wheel arch extensions which are larger, wider and lighter than those on the standard Q60. 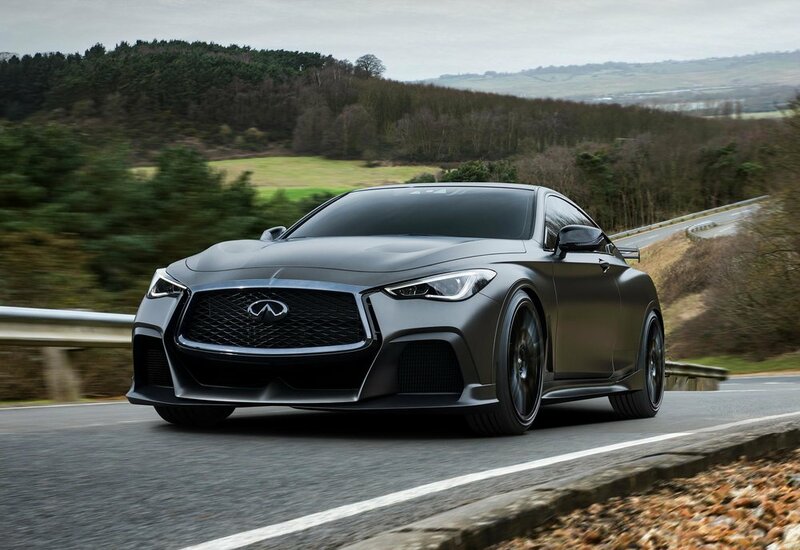 The concept is finished in matte grey and black while gloss black trim replaces the chrome found on the standard Q60 coupe, which surrounds the double-arch grille and lines the crescent-cut C-pillar. A future 'Black S' production model could be in the offering with Infiniti keen to add models with higher levels of performance and driver engagement to its line-up. All would see performance and powertrain developments, modified chassis settings, and a range of performance-inspired design elements. 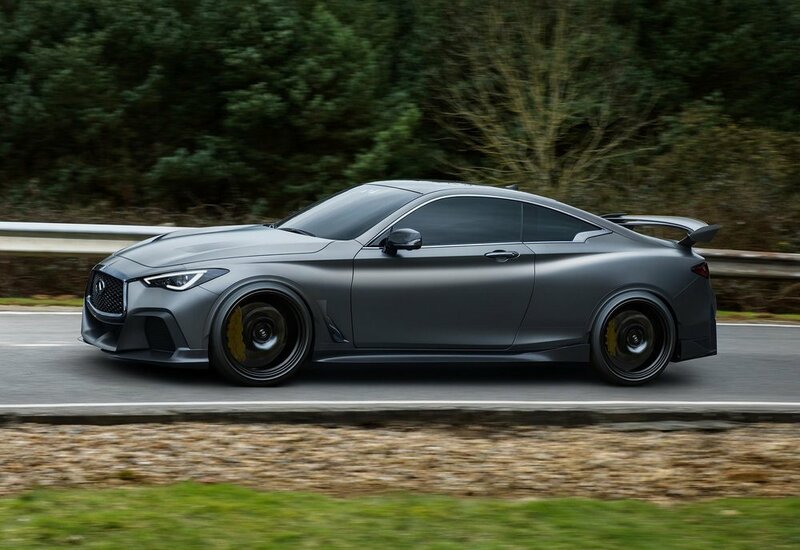 Infiniti says the unveiling of the Project Black S concept at the 2017 Geneva Motor Show will help to gauge potential interest in high-performance derivatives of Infiniti cars.